The Special Services Section offers training courses over a wide variety of topics that range from professional development, family violence, legal aspects of law enforcement, and basic school resource officer training. Completion of this 120-hour program makes students eligible for POST Supervisory Certification. 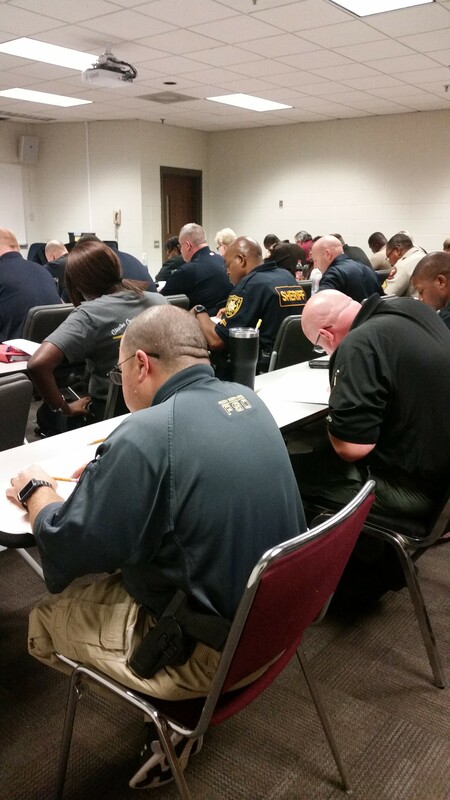 The program was developed to prepare public safety personnel to perform at the supervisory level. It is designed to teach basic skills and information necessary to become successful first line supervisors in the public safety arena. Completion of this 120-hour program makes students eligible for POST Management Certification. The program was developed to prepare all individuals in the public safety profession to function in management positions. The purpose of this course is to provide current, new and potential managers with a basic foundation of the prerequisite knowledge, skills and abilities necessary to effectively function in a management position. This 16-hour course designed to assist public safety officers in analyzing dilemmas encountered every day and generating effective solutions to the dilemmas that will have a positive impact on his/her career. This 16-hour course designed to teach public safety personnel techniques by which they can manage both job-related and personal stress. Topics include the nature and sources of stress and stress management strategies.